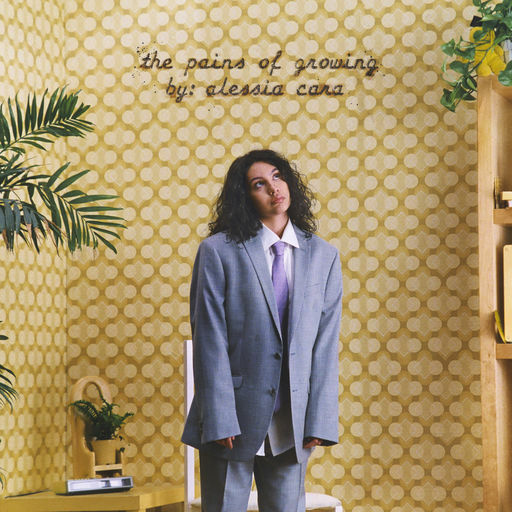 Three years ago, I reviewed Alessia Cara’s debut album, Know-It-All. In a few words, the album was a beautiful, albeit youthful, project. I said that Cara still had room to grow, but she made an amazing debut on the landscape of music. This is the case with many young artists, as even Nas still had the swagger and knowledge of a teen on Illmatic. That’s what made Illmatic a classic, its urgency and listeners’ abilities to relate to it. And that’s what made Know-It-All one of my favorite albums of 2015–and one that still gets spins three years later. Although Cara was youthful, she wasn’t naive. I still would argue that Alessia Cara is underrated, but I don’t want to let my fanboy show too much. For three long years, I’ve been waiting with people possibly younger than me for Alessia Cara to drop her next project. I will be the first to admit. As a thirty-year-old, I may be out of the typical demographic for Alessia Cara. But, that’s where the beauty of her music lies: even though it may be made with the oldest of Gen Z and the youngest of millennials in mind, just about anyone can relate to stories of not wanting to deal with adulting, love lost, and everything in between. Well, that and the fact that Cara pulls from legends’ bags and makes their vibes and energies her own in her anti-social type of way. In the three years since her debut, she’s grown and has managed to not become jaded by her experiences. Instead, she continues to be the voice of the voiceless in love and in life. Cara is equal parts vulnerable and playful on this project. There are moments like “Comfortable” where she’s singing her soul out over Motown-esque instrumentation, then she switches it up completely on “Nintendo Game,” a fun (but not-so-fun) song that encapsulates the growing pains Cara has dealt with. She acknowledges that she didn’t take all of the advice she gave on her debut and it played a part in putting her into situations where she had to grow up fast, while still dealing with being a young twenty-something. The project is leaps and bounds ahead of her debut, in terms of maturity, songwriting, and her overall sound. She still tinkers with other elements, but she’s hitting peaks that some artists twice her age still struggle to grasp. There’s always been something about her powerful, smoky vocals over sparse production that made me take notice (see “Here,” one of her first and biggest songs) and quickly made me champion Cara as one of the most-impressive artists of the past few years. She ups that here while still speaking her peace about love and life in a way that only she can. I could go on about how Alessia Cara avoided the sophomore slump. Seriously, this review could be about two thousand words and I could go into how her debut helped me out of some dark times and her new work makes me thankful I’m growing and maturing myself. I could tell you how, even if I’m not in the so-called target demo for her work, I still love it and think she’s an amazing talent. I could tell you that I think everyone should listen to and appreciate Alessia Cara and her work at least once. But, none of that tells you why this album is worth a listen, even if it adds to my respect of Cara as an artist and a fellow human. Simply put, the album is amazing. If my growing pains sounded half as melodic and soulful as this, maybe I wouldn’t have found myself in so much crap in my early-to-mid-20s. If you like good music and soulful R&B with some pop sensibilities, you owe it to yourself to check this one out below. So, go do that and support dope music in all its forms.